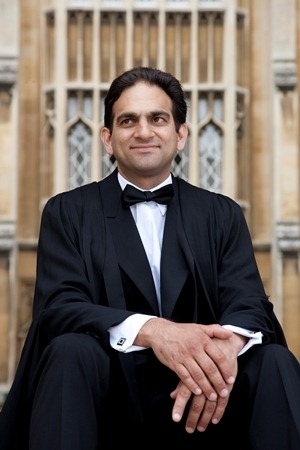 Performing as a conductor and organist in North America, South Africa, Far East, and throughout Europe, Andrew Nethsingha has been Director of Music at St John’s College, Cambridge since 2007. His innovations at St John’s have included weekly webcasts and a termly Bach cantata series. His recordings for Chandos have been well reviewed. Andrew Nethsingha received his early musical training as a chorister at Exeter Cathedral, where his father was organist for over a quarter of a century. He later studied at the Royal College of Music, where he won seven prizes, and at St John’s College, Cambridge. He held Organ Scholarships under Christopher Robinson, at St George’s Windsor, and George Guest, at St John’s, before becoming Assistant Organist at Wells Cathedral. He was subsequently Director of Music at Truro and Gloucester Cathedrals. Other recent positions have included Artistic Director of the Gloucester Three Choirs Festival and Musical Director of the Gloucester Choral Society. He has served as President of the Cathedral Organists’ Association. He has worked with some of the UK’s leading orchestras. Andrew’s concerts with the Philharmonia Orchestra have included many of the major choral works: Mahler’s 8th Symphony, Beethoven’s 9th Symphony, Britten War Requiem, Brahms Requiem, Elgar’s The Dream of Gerontius and The Kingdom, Walton Belshazzar’s Feast, Poulenc Gloria and Duruflé Requiem. He has also worked with the Royal Philharmonic Orchestra, the City of Birmingham Symphony Orchestra, the London Mozart Players, Britten Sinfonia, the Aarhus Symfoniorkester and the BBC Concert Orchestra. Recent conducting engagements have included the BBC Proms, Amsterdam Concertgebouw and Tokyo Suntory Hall. He regularly runs choral courses in various countries, including France and the U.S.A.